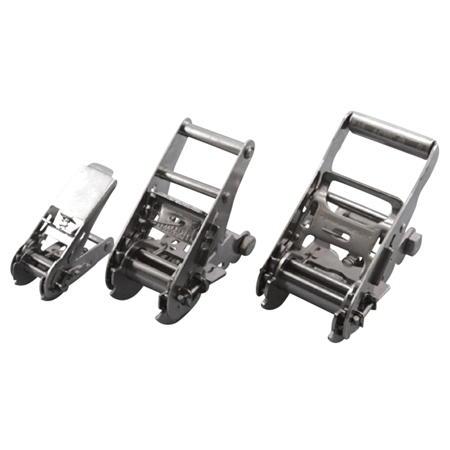 The Ratchet Buckle is able to accommodate webbing widths from 1″ to 2″. They feature dual locks and offer the tightest grip and easiest adjustment. These ratchet buckles are made from grade 304 stainless steel for corrosion resistance and durability, making them ideal for tie-downs.